You don’t have to be overwhelmed! 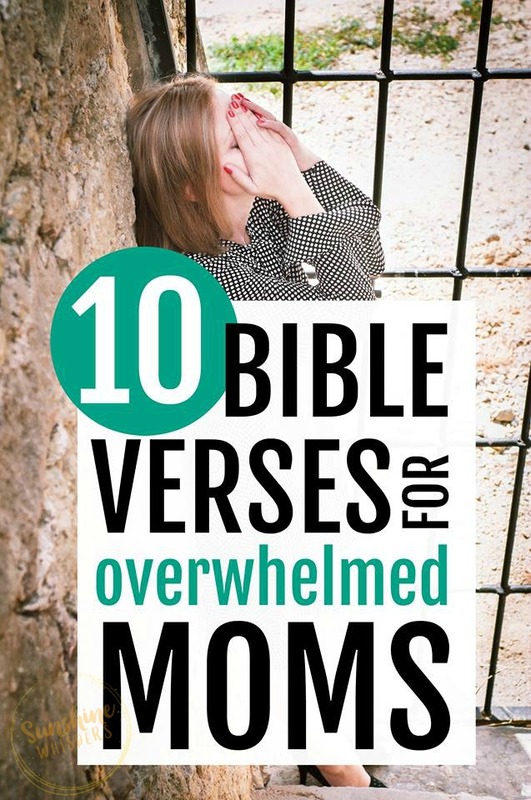 These 10 Bible Verses for Overwhelmed Moms will comfort you and help you overcome feelings of anxiety. Why? Because they are all reminders that God is in control and He really really cares for you. See below for details about the FREE printable devotional and scripture cards! Because I really need to let God take control of my own feelings of overwhelm, I created a short devotional centered around these 10 verses and I really would love for you to have access to it, for FREE! Just click the photo below to sign up for the free printable PDF and weekly encouragement. The first page is this super pretty poster you can print out and hang on your refrigerator or your wall at work (in case you need the reminders there). The next few pages are simple scripture cards you can print and cut out to bring with you wherever you need them (desk, bathroom mirror, purse, as a bookmark even?). The rest of this downloadable PDF includes 10 printable pages that you print out and can fill out yourself, one page for each scripture. Each day there is a place to write the scripture, reflect on how you can apply it to your life, and then write out a prayer for the day. PS– And don’t forget to join the Christian Working Moms Facebook Community (just click the link and like the page to join) while you are at it! Want to find your joy today? Join the Sunshine Whispers community for tips on how to find your joy and build stronger connections with family and God. Thank you so much for joining the Sunshine Whispers community of Moms! I look forward to getting to know you.. actually, I can't wait!